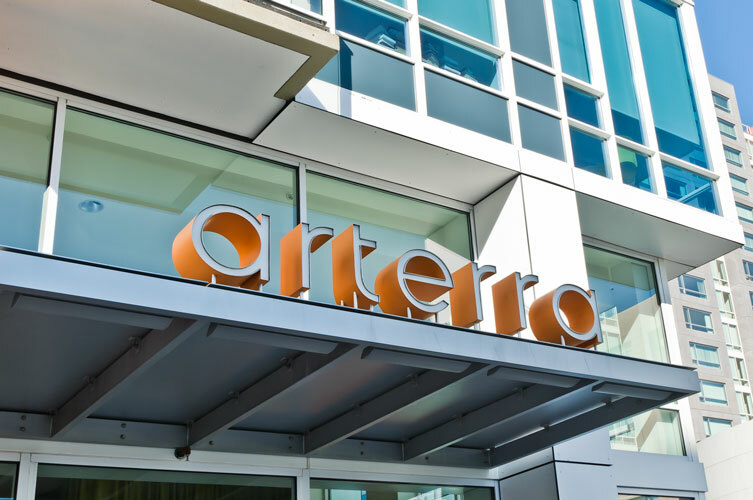 The Arterra condominium complex is a 16 Story Tower, 9 story high-rise and 6 story mid-rise of 265 units, that surround a landscaped courtyard garden. 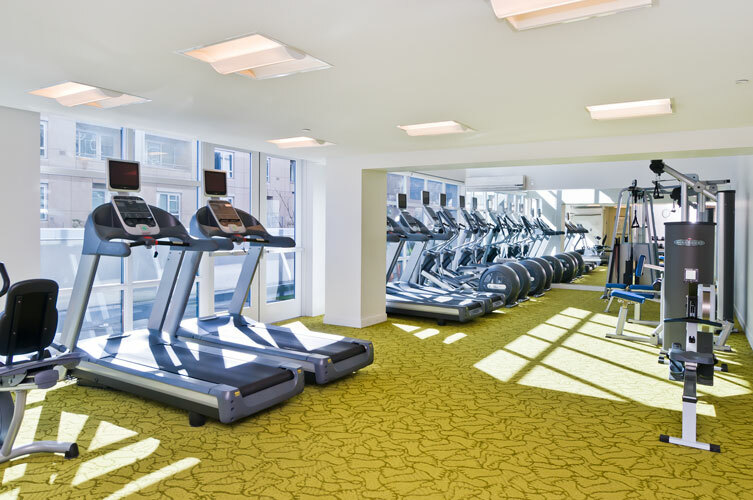 Choose from 1, 2 and 3 bedroom homes and the popular 1+den and 2+den, all featuring thoughtful modern floor plans that make use of floor-to-ceiling windows to take in natural light and outstanding downtown San Francisco, water and park views. Building amenities include a GREEN grass roof/observation deck and barbecue area, a 1400SF state-of-the art exercise facility, a 24 hour front desk attendant with concierge service, beautifully designed lobby and common areas featuring Eviroglass and cork flooring, a community lounge with a fireplace, kitchen and media center, a guest suite, gated-private access garage parking, bicycle storage and private security. 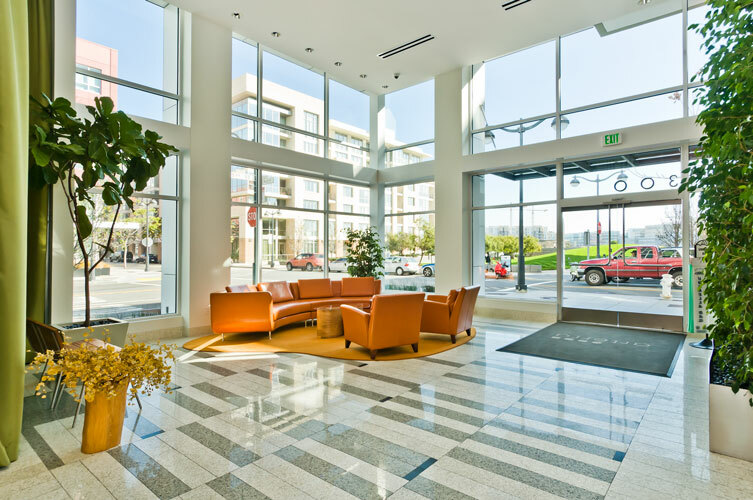 Well located for commuters of all kinds, enjoy easy access travel to downtown, the East Bay and the Peninsula. Within walk distance are: Caltrain, Bart, Muni, HWY’s 101 and 280, the Bay Bridge and the Free Mission Bay Shuttle. Close to Mission Bay Park and steps from the water. Enjoy all that San Francisco has to offer as you take in the arts, theater, film, sporting events at AT&T Park, the parks, Yerba Buena, Union Square, the Embarcadero, Ferry Building and world-class shopping all nearby. Walkscore 83, Transit score 97, Bike Score 96. Arterra, is the perfect marriage of GREEN building and an exemplary lifestyle.